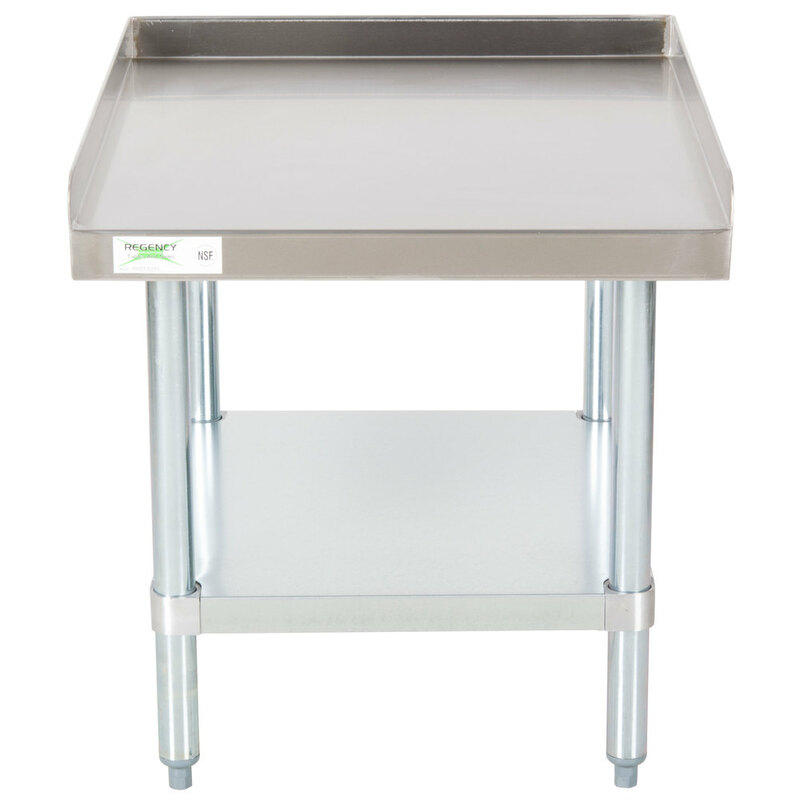 This Regency 30" x 24" stainless steel equipment stand is built to stand up to daily use in even the busiest commercial settings! 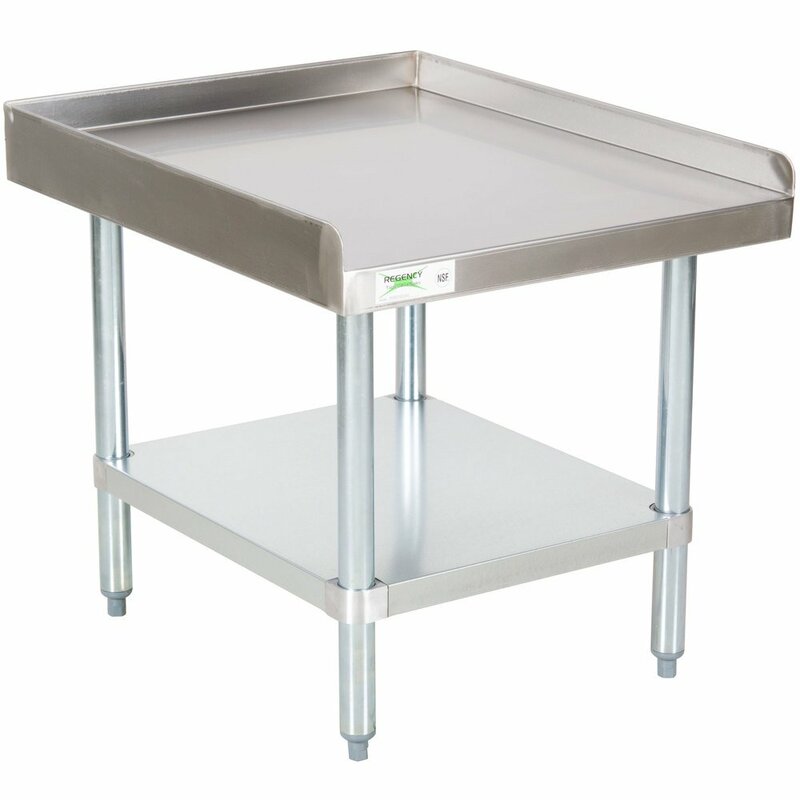 It features a durable 16-gauge type 304 stainless steel top shelf that can support up to 700 lb. 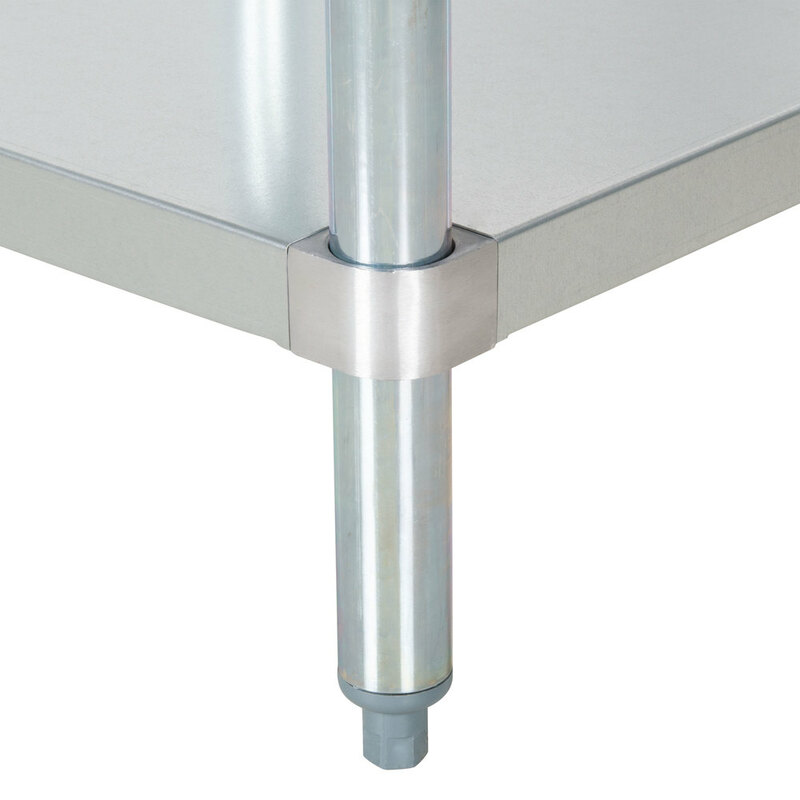 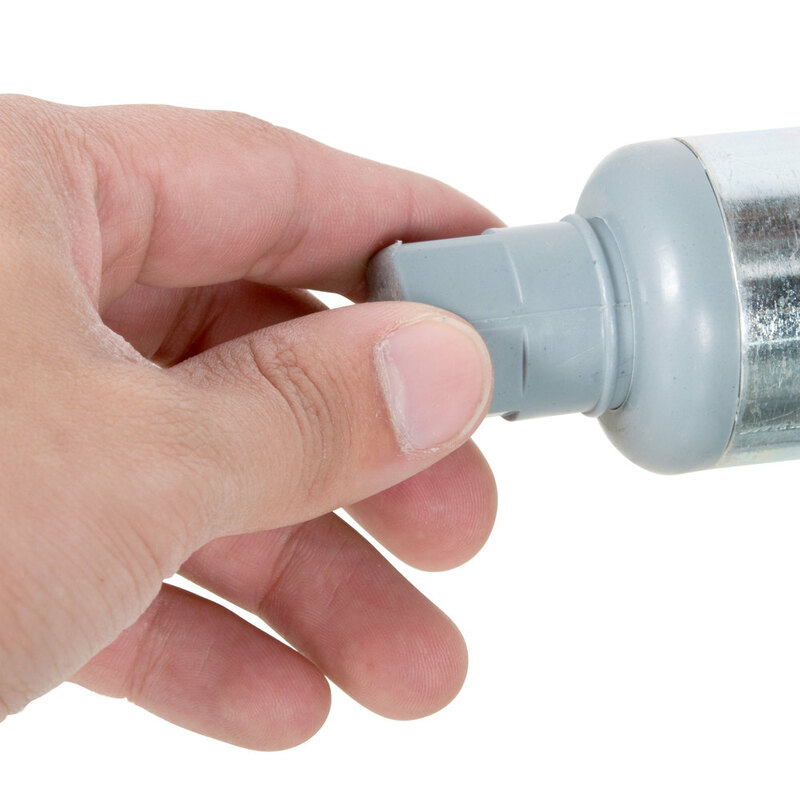 of evenly distributed weight, while the galvanized steel undershelf can hold 540 lb. 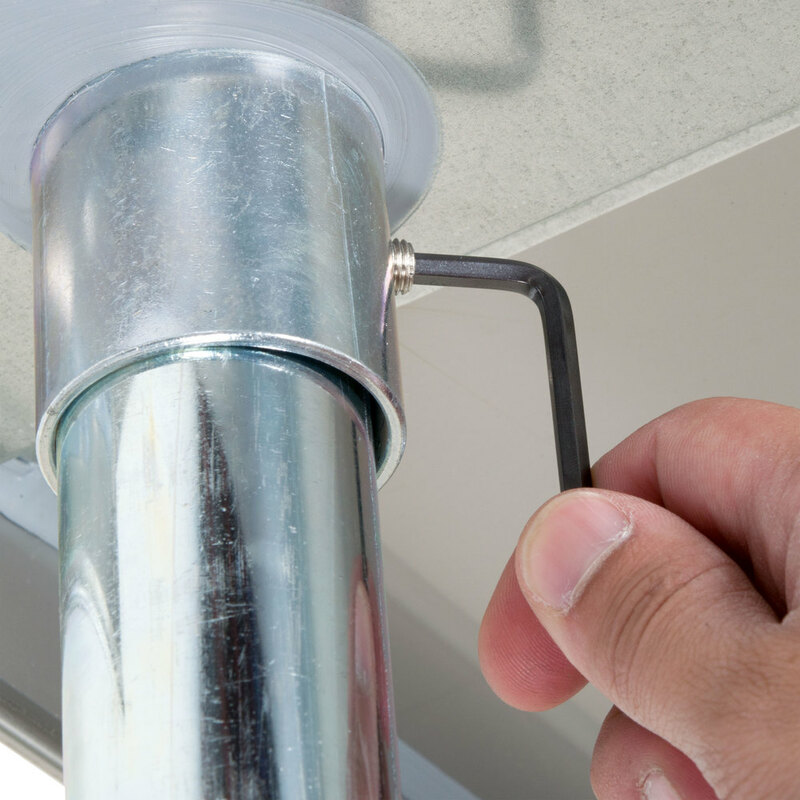 Aluminum corner brackets help support the bottom shelf, as well.